4 Bedroom Detached House For Sale in Buxton for £320,000. 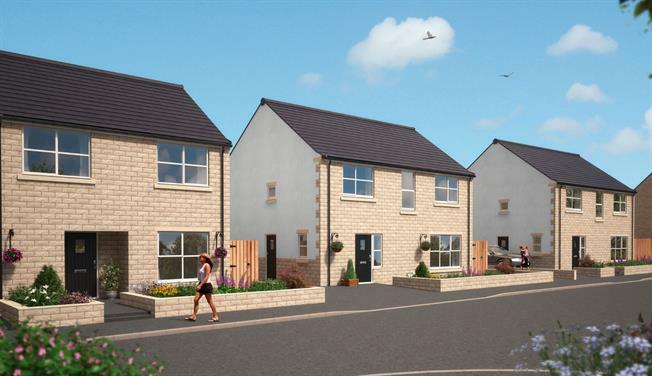 PLOT 6 - The Merryton is a bespoke new build detached property designed to suit the modern family with the emphasis very much on open plan living and is offered for sale with the Freehold included in the sale price. A ground floor entrance hall benefits from a cloaks/WC and a storage cupboard and there is a separate snug/study plus access to the stunning open plan living/dining and kitchen area off which is a separate utility room, whilst to the first floor a roomy landing opens to four double bedrooms, one with en-suite, and the family bathroom. Other features include uPVC double glazing and gas central heating throughout, enclosed gardens and a ten year NHBC certificate.